« Wrong For So Long… And Confused. Dahlia, botanical print. Image copyright 2014: Denise Ippolito/A Creative Adventure. 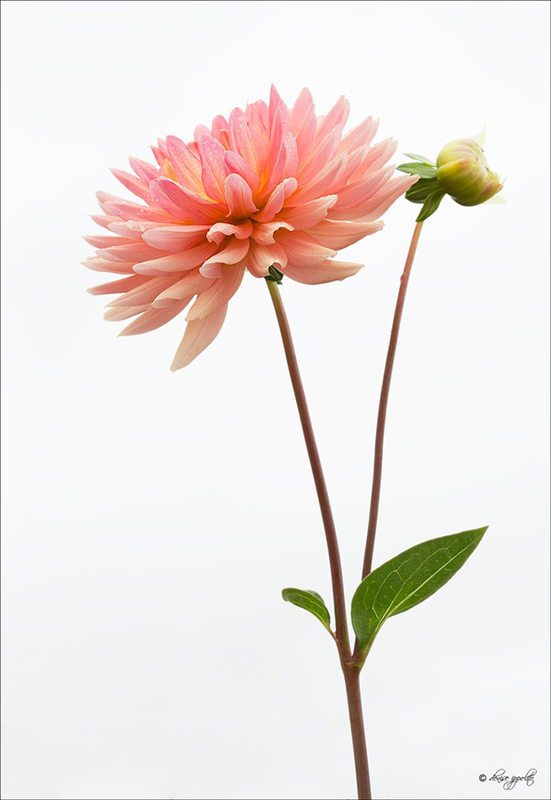 Dahlia, tight portrait. Image copyright 2014: Arthur Morris/BIRDS AS ART. 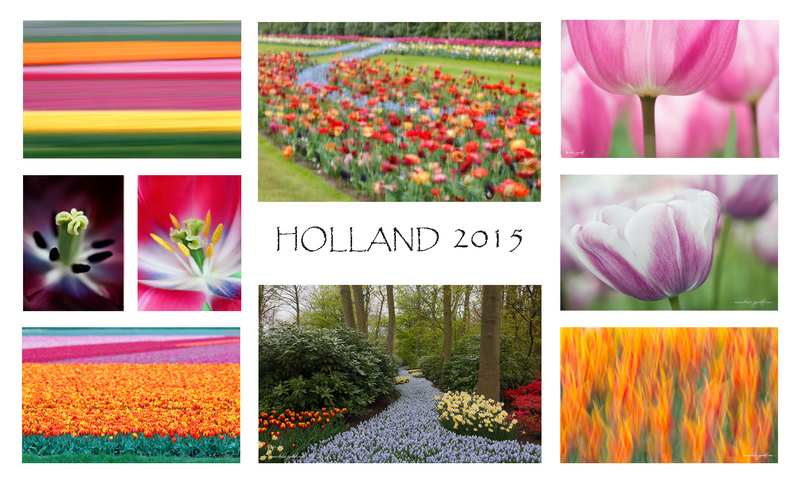 Like his bird photographs, artie’s flowers images tend to be clean, tight, and graphic. 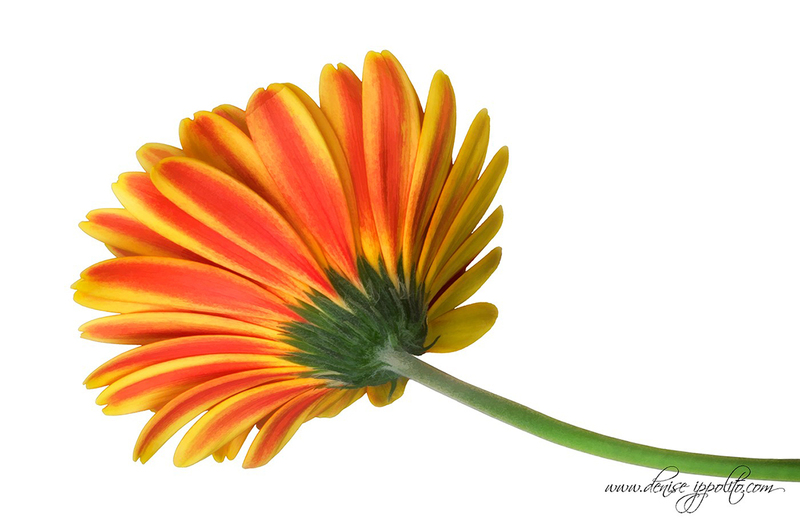 Gerbera Daisy after warping and rotation, Topaz Simplify BuzSim applied. Image copyright 2014: Denise Ippolito/A Creative Adventure. Denise is as skilled and creative at the computer and in Photoshop as she is in a field of flowers. Tulipa Renown. Image copyright 2014: Arthur Morris/BIRDS AS ART. 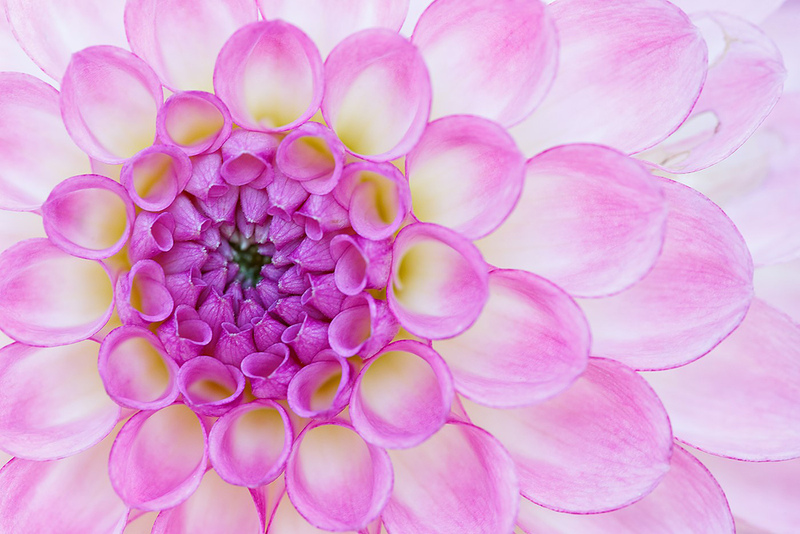 I have been working my way through the “Art of Flower Photography” and it is both a feast for the eyes and quite informative. Looking forward to having the time to get through the whole book. Hi Art, Thanks so much for the kind words 🙂 See you in a couple of weeks! can it be downloaded onto my I-pad? It sounds awesome! Can you upload PDFs to your I-pad? Hi Andrea, Here is a link to a YouTube video with instructions. Thanks to you both! I’m going to try it and order up a book. 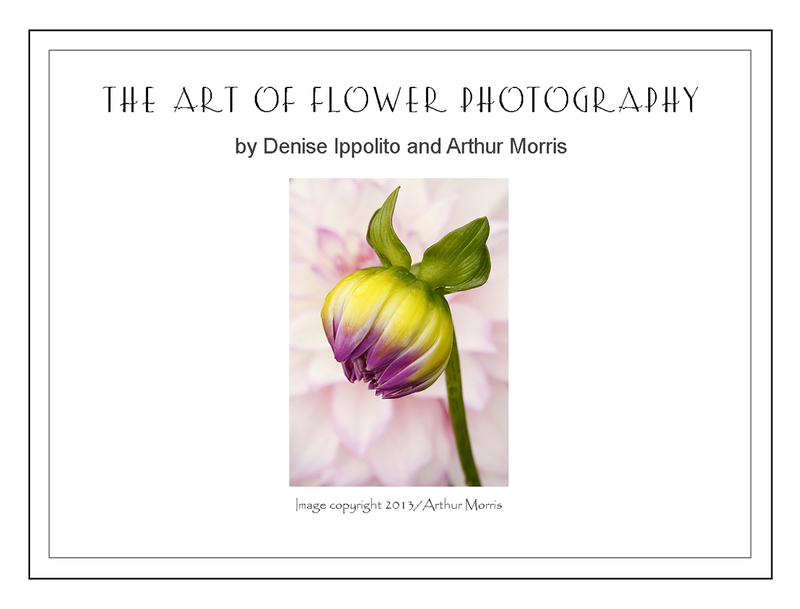 Denise and Art: I have just ordered the new eBook “The Art of Flower Photography” and Wow! Can’t wait to practice these techniques! Thanks to you both for doing this. Having attended one of Artie’s and Denise’s seminars in NY, I can attest to the fact they are the consummate artists and teachers. 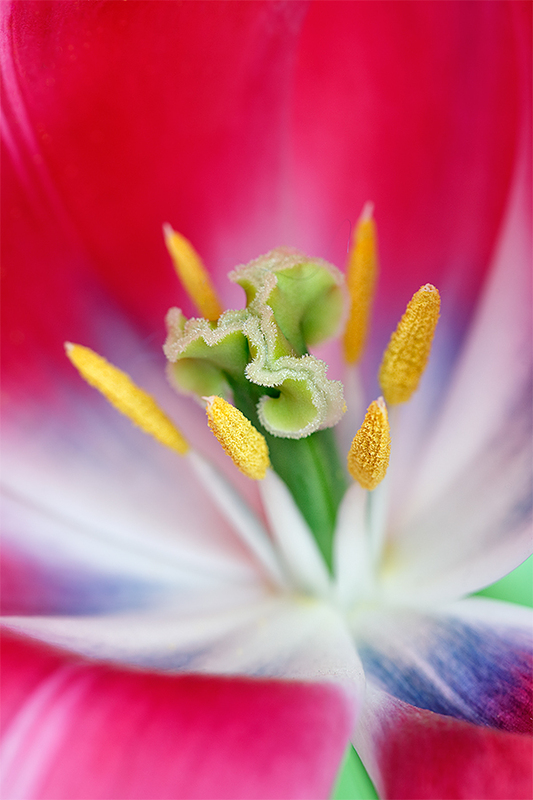 I saw a portion of both of their portfolios, Denise’s especially on flowers, and what she does is sheer magic. Time to learn from the magicians. Beautiful pictures and an interesting read no doubt. 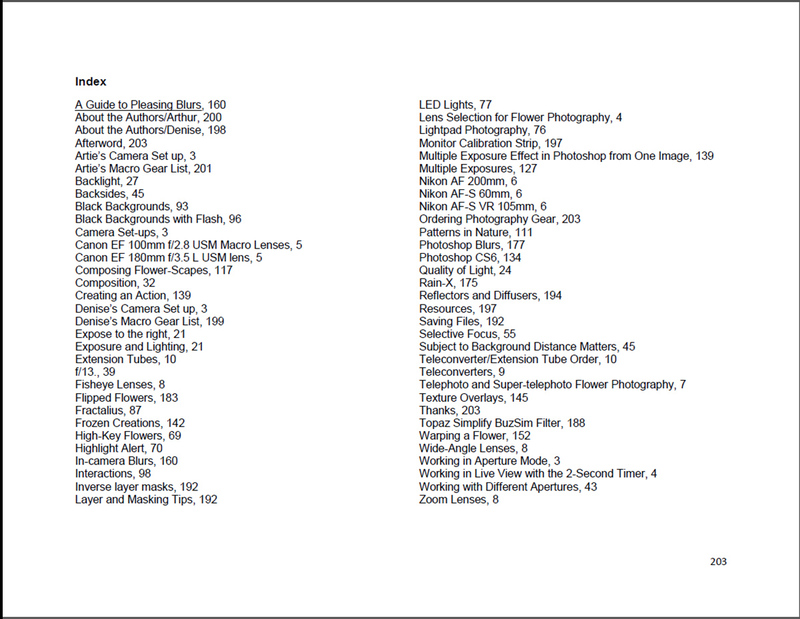 Pity I have had to sell my macro lens to free up some budget for two new lenses and an Extender, but when I buy the 100/2.8 L in the future I am seriously considering buying this e-book! Mike, when you are ready to purchase a macro lens consider purchasing a used lens from a reputable site. Most of the time you can pick up a used lens in great shape at a considerable savings. The older Canon 100mm macro without image stabilization is a great lens and I used it successfully for years and it is about 1/2 the price of the new one. Thank you for the good advice! I think I will go for the 100/2.8 with IS though because the IS will help me work more without a tripod. In my experience I have a hard time getting razor sharp images when doing macro shooting with the camera in hand because of the huge magnification. I have no problem with second hand though if the owner is as least as careful with his/her equipment as I am :P. And I will admit: I am probably a bit too careful.